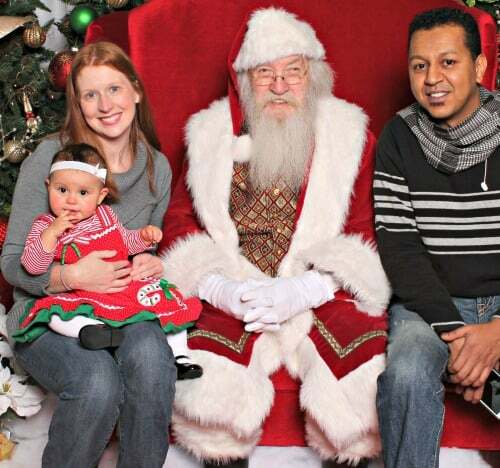 Christmas is such a fun and magical time for my family, I’m sure it is for your family as well. Unfortunately, it can be a time of great need for some. One thing that I am trying to teach my daughter is how incredible giving back this holiday can be. Giving back to those in need is a big part of our Christmas traditions. I want her to know how lucky we are to have everything that we need and to give to those who aren’t as lucky. Since my daughter is only three years old now, there are only so many ways that she can really help me to give back or volunteer. Maybe in a few years we can volunteer at the soup kitchen or a senior center together. For right now I am focusing on giving some of her old toys away that are still in great condition. She loved picking out toys to give to other boys and girls so they could have a happy Christmas. It made my heart smile every time she put a toy in the box to donate. We also like to buy extra items at the store to donate to the local food bank. She loves helping me pick out items off the shelf! One thing that I make sure to grab extras of are baby supplies. If you have a baby or toddler, you know what you need to take care of your child. Formula, diapers, and wipes are some items that people are in dire need of and it can be forgotten about when people are thinking of things to donate this time of year. In September 2017, the National Diaper Bank Network and Huggies announced a study that revealed that 1 in 3 U.S. families struggle with diaper need! These are families that can’t provide enough diapers to keep their baby or toddler clean, dry and healthy. That breaks my heart. I can’t imagine how helpless I would feel if I couldn’t provide my daughter with the items that she needs. I want to be able to help these families that have diaper need and it is so easy for you to give back , too! 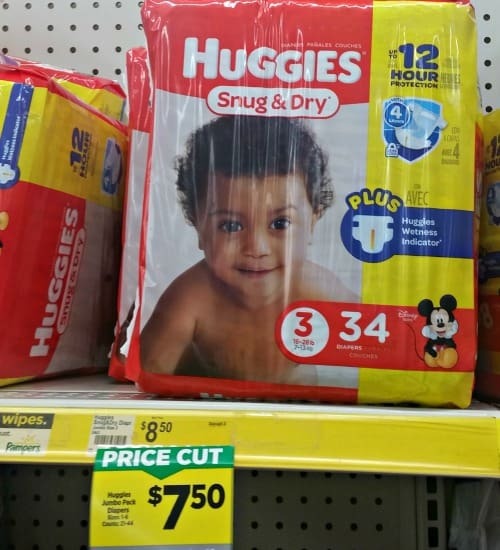 When you go to purchase a pack of Huggies Snug & Dry diapers at Dollar General through December 31, 2017, Huggies will donate a day’s worth of diapers (up to 500,000) and Dollar General will donate $1 (up to $5,000) to the National Diaper Bank Network (NDBN) as part of the Huggies No Baby Unhugged program. 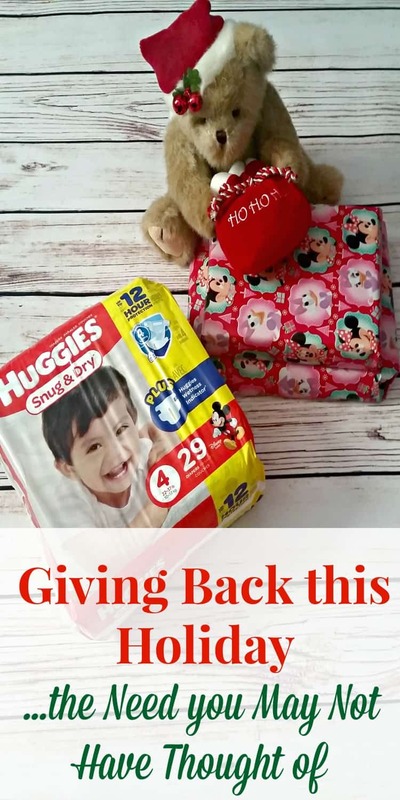 I like purchasing my daughter’s Huggies Snug & Dry diapers at Dollar General anyway so this is an easy way for us to give back this holiday. The savings at Dollar General are something that this frugal gal appreciates! 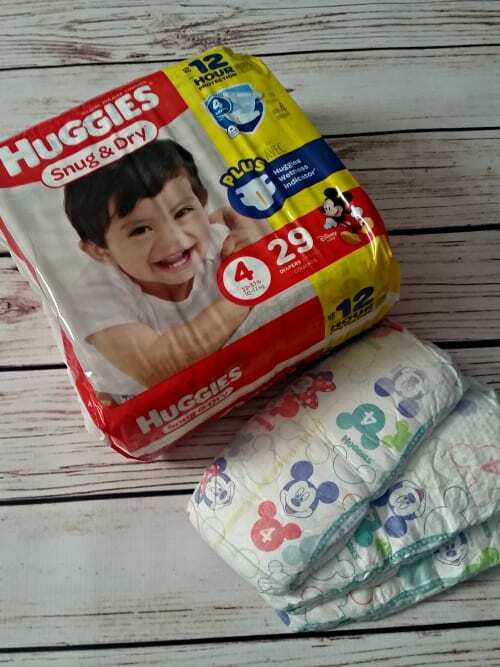 I have been using Huggies Snug & Dry diapers on my daughter for the past couple of years now. They help to keep her dry so that she can learn and thrive more comfortably throughout the day. I will gladly purchase a brand that works and also helps to give to those in need. It’s a win-win in my book. I love the fact that the National Diaper Bank Network will be receiving high quality diapers to help other babies thrive this holiday. Every baby deserves the best. As we bought our Huggies Snug & Dry diapers, I explained to my daughter how we were helping other babies as well. She seemed thrilled to be able to help! I hope that we can do a little more to help and to give back each and every future Christmas. 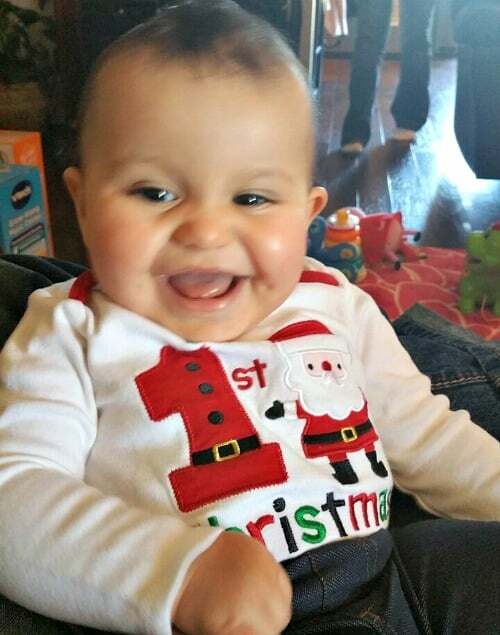 I always go back and look at this photo from my daughter’s first Christmas and I hope we are helping other babies have just as much fun as she did. What are some ways that you are teaching your kids to give back this holiday season?